That sounds like J.K. Simmons' voice as J. Jonah Jameson, which I love. Turns out moon dust? Pure poison! JUST LIKE SPIDERMAN, NOW BRING ME A PICTURE!!!!! If the tutorials just involve J. Jonah Jameson ranting against Spider-Man doing this or that to explain to the player how to do this or that, it'd be the best tutorial since Bruce Campbell narrated the tutorial in whatever Spider-Man game he was in. Don't see why it wouldn't be. 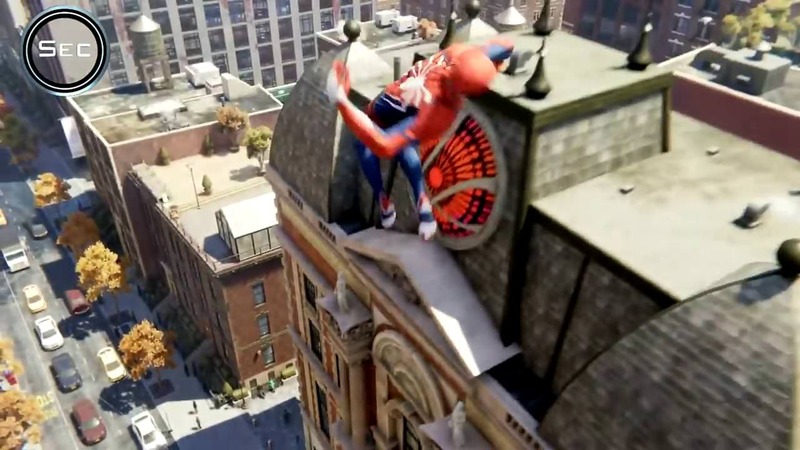 I sure the Baxter Building and the Avengers mansion/tower will in the game as well, despite not being specific to Spider-man. I could've sworn in the most recent trailer Spidey dove past the Avengers' logo on the side of a tall building. Edit: Yeah, at the :43 mark, right after flying past the Sanctum whatever. If I screw up a swing, will he berate me until I can correctly identify if I was rushing or dragging? Can’t wait to play this, put in my pre-order yesterday. Looks like the Spider Man game I’ve been wanting on for years. I always wondered why no one took the Arkham formula and applied it to a Spidey game, seemed like it would be a perfect match. ...did they replace Trump Tower with Fisk's building? Very rarely pre order anymore but I'm interested to hear what y'all think. It does indeed. Im not sure if the location is the same, but they definitely used the trump font for the FISK logo. My general philosophy on pre-orders is: "Could my decision to buy this game be chjanged by week one word of mouth," If the answer is no I'll pre-order it, but that usually means im buying the game for a reason other than purely gameplay, like pre-ordering PoE2 because I want to support them continuing to make games even if the game is not perfect right out of the gate. I'm not sure where i sit on this one, TBH. It'll probably be a day one purchase but not a pre-order, and only day one if i manage to complete persona 5 by launch day. There's very few games I'd pre-order these days. A Marvel licensed game isn't even close to being one of them. I like what I've seen so far though. Same here, though I did pre-order DQ XI. But I'm very interested to hear what people think, and probably will pick this up eventually. Any chance this will be coming out for PC? Zero to slightly less I would say. Sony doesn't do PC stuff. Uncharted, Last of Us, God of War, Horizon: Zero Dawn...If Sony owns the developer you don't see it on anything else. Insomniac is not owned by Sony. Sucker Punch and Naughty Dog are. Y'all are not helping my self-control. Do you have strong breezes in your office? I'm really glad to see them rolling that DLC into the Digital Deluxe version. I know people are mixed on DLC, but it would just seem like some crummy customer service to not include it after paying $80 for a game. Spiderman PS4 Review "Buy, Wait for Sale, Rent, Never Touch?" Don't watch if you don't want mild spoilers. NEW Marvel's Spider-Man 4K Gameplay - Insomniac Answers All Your Questions! I may blow an hour just swapping around different costumes. I got a chance to play at PAX West this weekend, and I can confirm: the swinging is real good. Spider-Man PS4 Pro VS PS4, A Graphical Powerhouse - Sony's Best Looking Open World Exclusive Yet?